It started with another “feel good” press release. On Wed Sept 24, 2014, Premier Prentice announced that he was proceeding with two flood mitigation projects. He’ll divert the Highwood River to protect High River and create a dry reservoir in the Springbank area to protect Calgary. Then it all went pear-shaped. They rejected Mr Prentice’s assertion that it was better than the original proposal pointing out that one community should not be destroyed to protect another. They said there had been inadequate public consultation and they were not satisfied with Mr Prentice’s promise that they’d be fully compensated for the damage to their property or livelihoods. They characterized Mr Prentice’s decision as a matter of political expediency. They’ve formed an action group called “Don’t Damn Springbank“. Its mission is to motivate the government to pursue more effective, natural, and environmentally responsible flood mitigation projects without destructive impacts to any community. In other words, they’ve thrown down the gauntlet. Mayor Nenshi expressed “surprise” at the announcement. No doubt after he peeled himself off the ceiling. The “dry” dam Springbank solution is a significant departure from the previous plan which provides a comprehensive water management plan. The “room for the river” concept had never been discussed with the City (the Mayor and his team had been blind-sided). The Springbank solution is incomplete. The Premier can’t demonstrate that it’s the most cost-effective solution because the analysis of two related projects—the McLean Creek dry dam and the Glenmore Reservoir diversion tunnel—is not yet complete. The Springbank solution may not be sufficient. 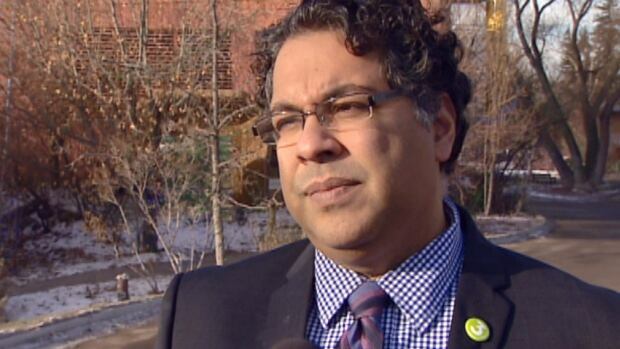 Mayor Nenshi challenged the Premier to produce engineering studies demonstrating that the Springbank solution would protect the City given the Government of Canada’s finding that the 1:100 year standard is no longer appropriate. Given the magnitude of the devastation caused by the 2005 and 2013 floods, one could be forgiven for expecting Mr Prentice to handle flood mitigation file with greater care and humility. But then again, his unelected Education Minister is running in the Calgary-Elbow by-election and is in desperate need of talking points. Mr Prentice’s press release describes the Springbank dry reservoir as a “Room for the River’” program and includes a sidebar with this link: Netherlands “Room for the River” programme thus creating the impression that the Springbank solution is founded on the Dutch experience. The Dutch government embarked on the “Room for the River” programme after the Rhine River threatened to breach its dikes in 1993 and 1995. Two hundred and fifty thousand residents were evacuated. Instead of following 800 years of traditional flood mitigation (strengthening the dikes), the Dutch did something truly innovative—they brought together 17 partners (provinces, municipalities, water boards, etc) to make “room for the river” by moving dikes, digging new water channels and improving the quality of the physical and urban landscape. The ambitious programme commenced in 2006 and will be completed in 2015. It will cost 2.2 Billion Euros. The transformation of the 2000 year old city of Nijmegen is a testament to the success of the government’s approach. Nijmegen is one of 39 locations that will make “room for the river”. It will move a dike 350 meters inland and develop a new channel (suitable for rowing and sailing) for the river Waal. A new urban river park will be created in the heart of the city. It will feature floating restaurants and a marina. The quality of the redesign won Nijmegen a spot on the World Cities list. Fifty houses were demolished. The process was difficult but the government allowed sufficient time for consultation and negotiation to bring the residents on board. The cost of redevelopment will be $460 million. Admittedly Alberta is not the Netherlands and Springbank is not Nijmegen, but surely Premier Prentice took more from the Dutch “Room for the River” programme than its name. The Dutch experience demonstrates that comprehensive scientific and economic analysis and meaningful consultation are critical to the creation of a successful flood mitigation strategy. 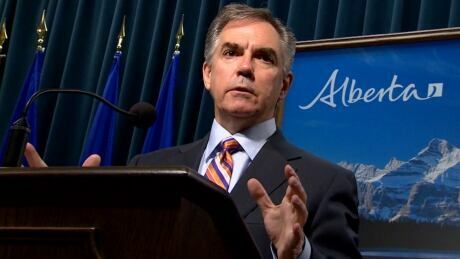 Mr Prentice’s attempt to short-circuit the process by arguing “Government involves tough decision and tough choices”* is an excuse, not a justification, for a $200 million project that will impact the lives of Albertans now and into the future. Alberta’s flood mitigation strategy deserves sober second thought, not hasty decisions aimed at propping up an unelected cabinet minister. This entry was posted in Environment, Politics and Government and tagged "Don't Damn Springbank", "Room for the River", Calgary Elbow by election, Flood mitigation, Jim Prentice, Naheed Nenshi, Nijmegen. Bookmark the permalink. Wow! So Mr. Prentice just wakes up in the middle of the night and says “Let’s do this!” Oh I would be so angry if someone unilaterally decided such things on my behalf! And Three Cheers to the Dutch! What a wonderful idea! Linda, not only did Mr Prentice unilaterally decide that the “room for the river” Springbank solution was the answer, he said it was a no-brainer. In a recent Sun article he talked about all the things he’d accomplished in the last two weeks. On the topic of flood mitigation he said “Get the flood mitigation stuff built. It’s not that complicated, just get it going”. Well actually it is complicated and requires a little more than two weeks of consideration before implementation. Wow. This is really not a surprise. This is the business like approach to problems where their objectives is to show toughness and determination so that the profits come fast and furious and the markets respond positively to the so called fast decision making. He said he would run Alberta like a business and that is what he is doing. Whether or not the people agree or the Mayor knows anything about it is totally irrelevant. Hopefully Albertans will do what they should in the 4 by-elections and send them all packing. I still am not very hopeful but I will calmly wait for the results. Carlos, you’re right with your comment about business leaders feeling compelled to demonstrate there’s a new sheriff in town, a no nonsense tough guy who is going to turn things around. In a recent Sun interview Mr Prentice makes much of the “new” PC government led by a “strong leader” who will deal with errant MLAs with a “3 strikes and you’re out” policy. Why he thinks he can toss out a democratically elected MLA is beyond me. That right belongs to the people, not the Premier. Oh well, it’s all part of the game of convincing Albertans that they don’t need to fuss about the PC government anymore. The 4 by-elections will be the litmus test to determine whether Mr Prentice is right. Well Susan the frame of mind is so business like that he does not even blink with comments like the ones you mentioned. These people can no longer realize what they are saying is silly. As far as they are concerned the business community and the government is one. They are completed integrated. All that is left to do is to get a few religious minds from the Wildrose party and we will have the Albertan Ayatollahs. Alison Redford behavior reflected very well that sense of running a government like a business. They now have jet planes, they have bonuses in the millions and they can use the 3 strike and you are out rules as they please. She was just doing what she was made to believe she was – a true CEO of a major corporation called Government. It is absolutely pathetic. The state of our political system is chaotic and that is why we cannot go anywhere. At the federal level for example Harper makes decisions as important as free trade with China without consulting even his own caucus. Emperor Harper knows it all and giving away our resources to anyone is his own prerogative. It is astounding to me. This is what we Canadians call democratic process. We have a lot of catch up to do.